How to Clean a Cement Floor in Easy Way? 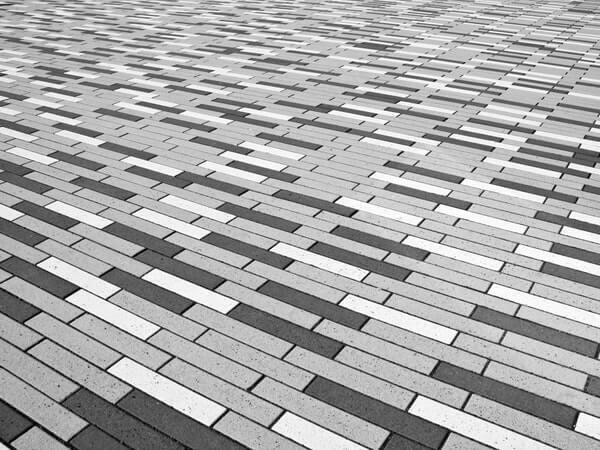 The floor of spaces such as a garage, patio, garden, cellar, etc. Usually, they are of materials like cement or concrete and, on many occasions, raise doubts about its correct maintenance and cleaning. The truth is that it may be a bit different to clean a tiled surface or some other material such as stoneware or granite, and that is why in a How we want to explain in detail how to clean a cement floor. Cleaning cement floors is not complicated, only the necessary utensils and products are needed to keep it clean and to keep this material in optimum conditions. Therefore, the first thing you must do is sweep the floor with a brush or broom that is sufficiently firm and hard; we suggest you have one exclusively for cement, as the tines deteriorate easily. If it is a floor where large amounts of dust, sand, earth … such as the exterior floor of a garage or garden entrance, we recommend that you sprinkle some water before sweeping with the best broom. In this way, you will avoid lifting dust and it will be easier to clean, but do not overdo it or you will only create a mud. If it is a cement floor with accumulated debris such as leaves and other natural elements, you can choose to use a pressure hose or even with high-pressure cleaning machines (Kärcher type). You should make sure that there is a drainage system installed or the inclination pertinent so that the water does not become soaked, especially if it is an interior floor or that does not give the sun. As for the products to clean cement floors, we recommend that you choose detergents with neutral pH to avoid deterioration of this material that can cause certain aggressive chemicals. When removing stains from a concrete or cement floor, you can try to apply directly to them a stain remover or anti-grease product, such as the one used in cleaning the kitchen. Let it act for a few minutes and then rub moderately with a soft brush. How to Clean a Patio or Terrace Floor? Having an outdoor home is one of the greatest pleasures there are. An ideal place to relax when the good weather arrives. Unfortunately, summer has come to an end. We have spent long periods enjoying our patios and terraces with our family and friends and now it is time to say goodbye to all that. The issue is that, with the use, the dirt is accumulating and the floor can go bad. That is why, before the winter starts, it is important that we do a thorough cleaning to make everything alright and better preserved. As they are constantly outside, the patios and terraces are exposed to inclement weather, they get dirty and can easily lose their color. For this reason, it is essential to clean the patio floor or the terrace more deeply at least twice a year. And to make it easier for you, here are some tips that are sure to come in handy. What Do You Need to Clean the Terrace Floor? A broom or best microfiber mop to sweep the entire surface before scrubbing. A hose to rinse the floor before and after sweeping. If you have a professional vacuum cleaner, better than better. Product for the cleaning of patios. It is important that you choose a quality product that fits the type of soil you have in your home and read carefully the indications of the packaging. Think that a bad choice can end up deteriorating the color of your tiles. A hard bristle brush to thoroughly clean the toughest dirt. Remove all obstructing items. The idea is that there are no items that can bother you during cleaning or delicate items such as furniture that can be damaged. Mix a bucket of warm water with the cleaning product. Sweep the entire floor of the yard with the broom. Rinse the entire floor with the hose until it is well soaked, but not soaked. Scrub the patio with the brush along with the bucket mix we have previously prepared. Let the mixture run for a few minutes and then rinse the surface with a stream of strong water. Let it dry and you can enjoy your patio again, but now with impeccable flooring. PrevHow Helpful Is Training MMA in Scarborough? Next10 Tricks That Will Make Your Skin Glow!